Cool chassis maker In Win is at the CES 2018 and has a number of tasty products on show drawing admirers to its booth (South Hall 1, Booth 20236). To celebrate its CES 2018 appearance In Win has made the rather spectacular WINBOT chassis available to purchase at last. 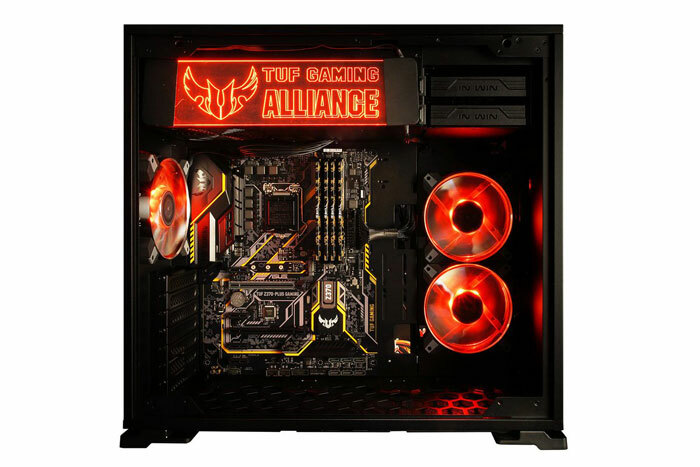 In Win’s partnership with Asus seems to be blossoming. Last week we saw the collaborative Asus XG Station Pro announced. This is a new Thunderbolt 3 external GPU box with RGB LEDs and In Win design. 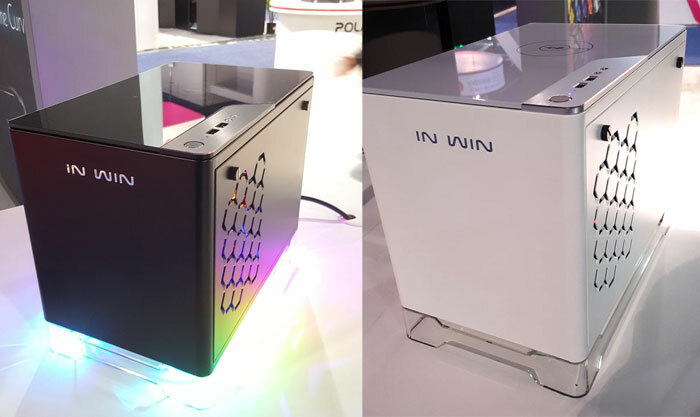 At CES 2018 In Win has revealed another collaborative design: it has resprayed its 101 chassis to appeal to Asus TUF motherboard owners with the aptly named 101 TUF Gaming PC chassis. 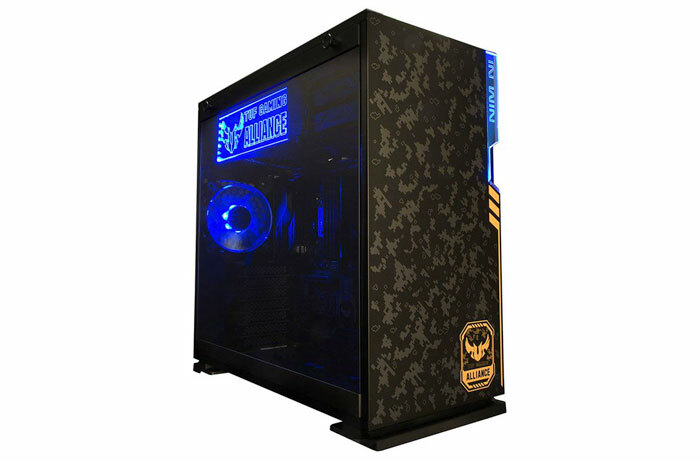 From the pictures you can see the new look blending in with the AsusTUF Gaming motherboard design using camo and orange-yellow motifs. Other than the above In Win is showing off a new chassis dubbed the A1 Glass Edition. This is a Mini-ITX design reminiscent of the old PowerMac G4 Cube design, if anything. Available in black or white, these should become available by “early Q2”. In other news, but without photos as yet, In Win is showcasing the new In Win 915, a premium full tower E-ATX chassis that’s "uniquely curved and highlighted with RGB lighting". In Win has also worked with EKWB to create a co-branded reservoir that perfectly matches the In Win 909 chassis' unique aesthetic. In Win Mars and Polaris fans will be featured at CES 2018 too. In Win is never short of having an eye-catching chassis at CES. That model this year, in our estimation, is the 915 full tower. Take a look and let us know what you think. There was a time when the CPU or GPU cost more than all of the other components combined… well ladies and gentlemen have I got news for you.